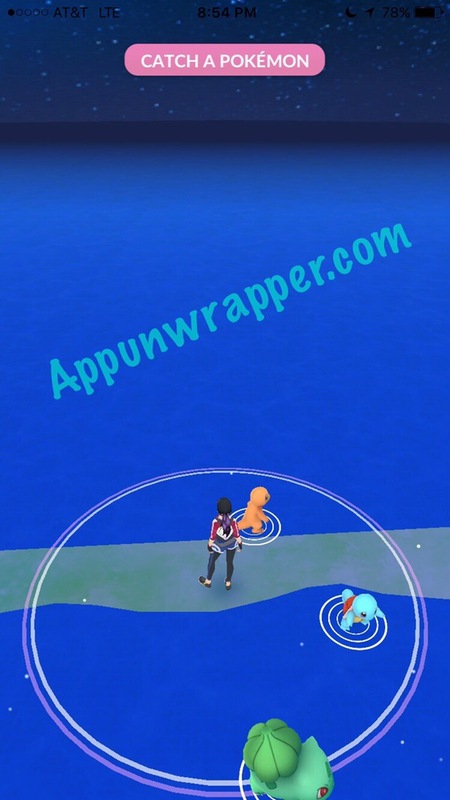 This is a walkthrough guide with hints, tips and tricks for the iOS and Android augmented reality (AR) game Pokemon GO by Niantic and Nintendo. Feel free to ask for extra help in the comments section. See my Pokemon gym guide here. NOTE: I learned this the hard way, but the max Combat Power (CP) of your Pokemon increase when you level up your character. So it’s worth it to stockpile stardust and candies as much as possible, holding off on using them to power up or evolve Pokemon. If you evolve a Pokemon while you’re a lower level, it will be very weak as you yourself get stronger. They don’t grow with you — only their potential does! See my evolution guide for more information. I recommend using a Google/Gmail account, even if you make up a new one just for this game. The Pokemon account has some issues with sign-ups and I personally couldn’t get it to work. However, when the servers are down, the Google account will be more annoying, as you’ll have to log in before finding out the servers are down. Choose your screen name wisely, as there doesn’t seem to be any way to change it in the future. It will also appear as a watermark in photos you take with the in-game camera. Professor Willow will give you a choice between three Pokemon — Squirtle (water), Charmander (fire), and Bulbasaur (grass). I chose Charmander because I always choose Charmander. I mean, he evolves into a badass dragon! It doesn’t really matter which one you choose, though. Unlike the old Pokemon games where your starter would grow with you, this time you’ll only be able to evolve it if you catch a whole lot of that Pokemon. So it really won’t make much difference overall. I haven’t even touched my Charmander. 🙁 Keep reading to find out why this is. 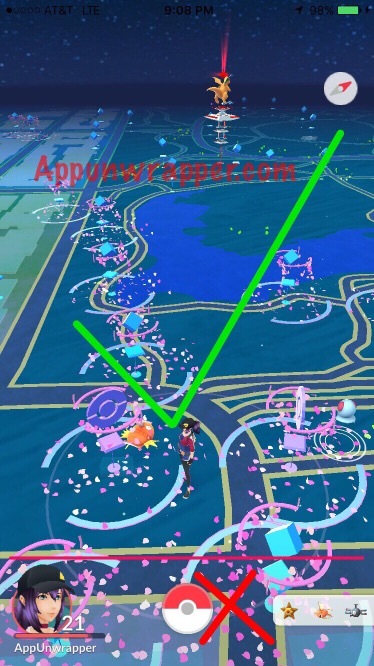 To catch a Pokemon, first tap on the Pokemon you want on the map. Then, grab the Pokeball at the bottom of the screen. Try to flick it at the Pokemon when the green (or yellow, etc) ring is smallest. That doesn’t guarantee a catch, but it will make it much more likely. I recommend using your pointer finger instead of your thumb, so you have more control and can keep the ball going straight. Or at least use both hands to support your phone when you flick with your thumb. Getting a “Nice!” throw gives you 10 extra experience and a “Great!” throw gives you 50 extra experience. 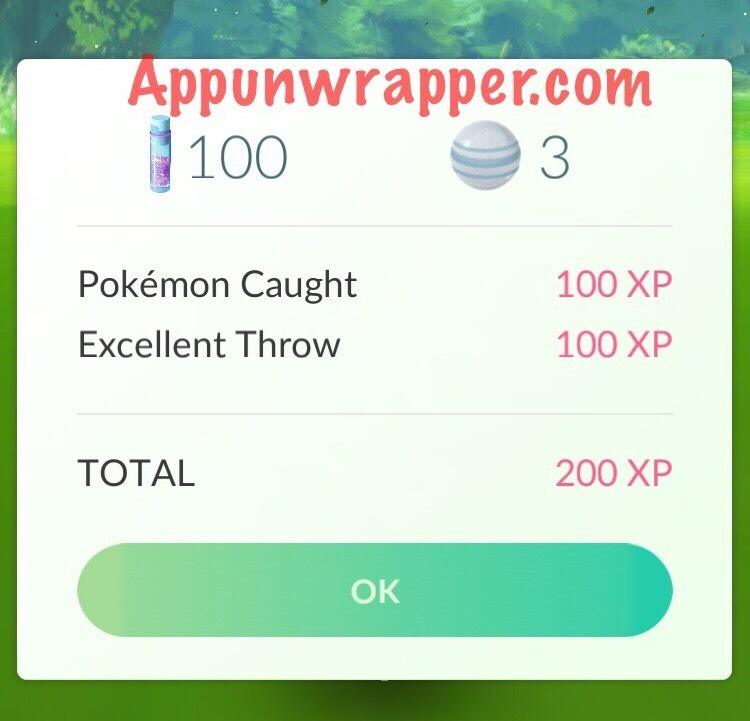 An “Excellent!” throw gives 100 extra XP. It might also make it more likely to hold the Pokemon, but I’ve had plenty jump out and flee after a Nice or Great throw. 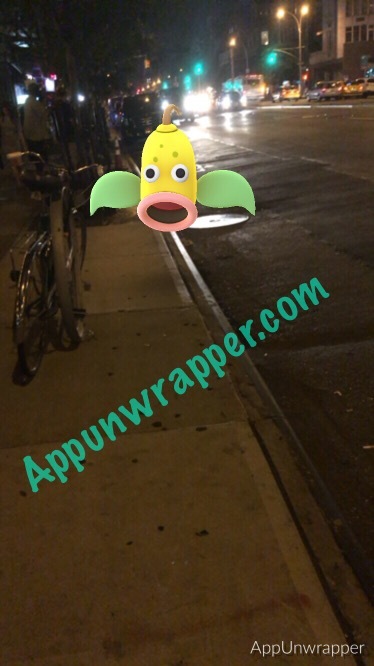 You can turn off AR to make it easier to catch, but then you lose the fun of seeing the Pokemon in the real world. If you spin the ball before throwing, it sparkles and you can try to get a curve ball.l for an extra 10 XP. It might give you a better chance of the Pokemon staying in the ball, but I’m still testing it myself. I’ve seen people claiming that if a ball misses the Pokemon, you can tap it to pick it up from the floor. But I’ve tried this a number of times and it hasn’t worked for me, so I don’t think it’s true.You can read more about it here. Some Pokemon will be really easy to catch as they don’t put up a fight. The lower the CP, the easier they will be to catch. You can also tell from the color of the ring. Green is easiest, light green will put up more of a fight, then yellow, orange, and red is really hard to catch. Common Pokemon like Pidgeys, Spearows and Rattata show up all the time and are easy to catch (at least when their ring is green). But others put up more of a fight. For instance, the Ekans I caught kept jumping over my ball! So it took a few tries to get him. This Weepinbell wasted 50 Pokeballs and I eventually gave up trying. But I later got tools like Razz Berries and Great Balls that make these stronger Pokemon easier to catch. NOTE: A Pokemon always starts out pretty close to you. But if the Pokemon breaks out of the ball you throw, he’ll jump out further away from you, making it a bit harder to catch him. You can try using Razz Berries before your first throw to try and prevent that. Mega Balls and Ultra Balls (when you’re able to get them) also minimize this issue. Pokemon also get more aggressive after a failed catch. A few failed catches might even make them run away! So if you want to make sure you catch a specific Pokemon, use your tools like Razz Berries and Great Balls early on and make sure you’re hitting when the colored ring is big, not small. Keep in mind that Pokemon tend to fight and run more when your avatar reaches higher levels. The higher the CP of a Pokemon, the stronger it will be. Ideally, you want a Pokemon to be at max CP before evolving it. If you find a high-CP Pokemon in the wild, it will be more difficult to catch, but it’s worth it! It’s also worth it to power up a Pokemon to its max CP before evolving. But j recommend holding off on powering up or evolving rarer Pokemon until you’ve leveled up quite a bit. 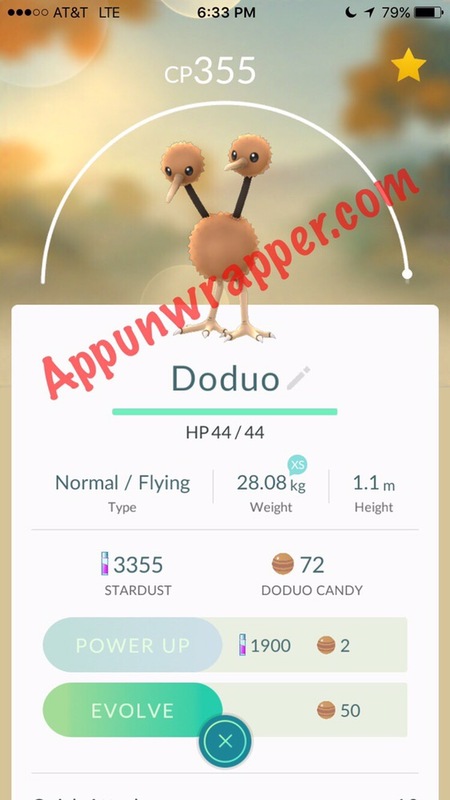 For instance, I got this Doduo up to 355 CP before evolving (as high as it could go at the moment) and then the Dodrio it evolved into had a CP of 778! So it’s best to catch a Pokemon in any form (evolved or unevolved) closest to its current max CP. Power it up as much as possible before evolving. But if it takes too much powering-up to get his CP up, I recommend waiting until you find a stronger one. It is still possible to find a fully-evolved Pokemon with a very high CP in the wild. Those are priceless! NOTE: The max Combat Power (CP) of both your owned and wild Pokemon increases when you level up your character. I learned the hard way, but I would recommend you stockpile stardust and candies as much as possible, holding off on using them to power up or evolve Pokemon. However, evolved Pokemon earn more CP (~25) per Power-Up than their unevolved version (~8). So if you want to evolve some common Pokemon early on just to have something to use in gyms, it’s not the end of the world. If you evolve a Pokemon while you’re a lower level, it will be very weak as you yourself get stronger. They don’t grow with you — only their potential does! See my evolution guide for more info about CP and evolving Pokemon. TIP: Use a Lucky Egg (to earn double experience for 30 minutes) and then use some of your Pidgey candies to evolve Pidgeys (or other common Pokemon you have a lot of) that you don’t need. You can then turn those into candy to evolve other Pidgeys. You get more experience for this than just turning them all into candy. 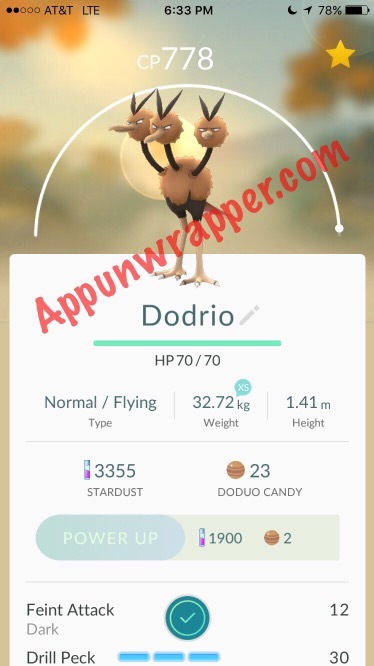 And Pidgeys only need 12 candies to evolve into Podgeotto. Evolving a Pokemon normally gives you 500 XP. So if you save them up and use them while a single lucky egg is activated, you can earn 1000 XP for each. I’ve caught so many Pidgeys by now that I had well over 400 candies. 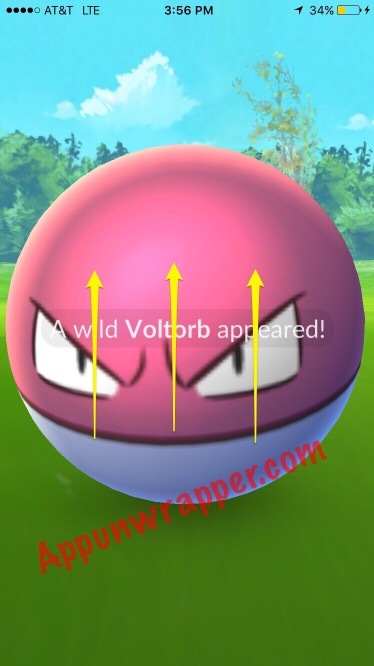 If you use a Razz Berry on a Pokemon that’s difficult to catch, it will make it easier to catch. You can find these randomly at Poke Stops. To get around in Pokemon GO, you have to move your body outside in the physical world and the game’s GPS feature will recognize that you moved. I live in a city, so Pokestops are abundant. There’s one right by my apartment. Pokestops help you replenish Pokeballs and other items (even Super Potions, Hyper Potions and Great Balls once they’re available to you) for free. If you get in range of one, the cubes will turn into a flattened, spinning Pokeball and you can tap on it. (If you’re out of range, the game will tell you.) Blue ones have items for you, but purple ones don’t because you already visited them recently! You can return to a used one as many times as you want, but it does take a few minutes for it turn from purple back to blue. When you do access a Poke Stop, you need to swipe left or right to spin the image in the middle. You can then tap the items that come out of it or just close out of the Pokestop and let the game collect everything for you automatically. 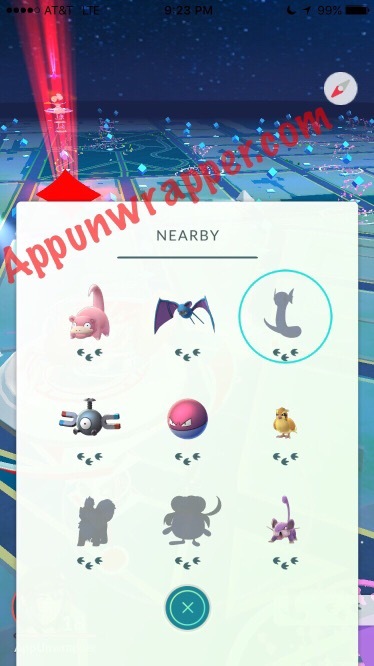 You’ll also see any nearby Pokemon on the map. If you want to catch one, just tap on it. Pokemon only show up if they’re within your radius. NOTE: The lower part of the screen where all the buttons are housed only seems transparent. But if a Pokemon shows up down there, you need to rotate your map so it’s above that section and you can tap on it. Otherwise, your taps won’t register. People have been asking me how to make a new Poke Stop. There wasn’t a way…until now. Niantic added a way for you to request a new Poke Stop or to have one that’s inappropriate shut down. You can fill out the support form here. Don’t pass up any Pokemon you see. Even if you already have two dozen of them, you’ll still need the Stardust to power up other Pokemon. So catch everything you see! If you don’t want to spend money on extra space, you have room for 250 Pokemon and 350 items in your bag. It’s fairly easy to make room for Pokemon by transferring all the weaker, low-CP ones. But your item bag can get filled up pretty easily. The nice thing, though, is that you can go over 350 under certain circumstances. For instance, if you level up when your bag is full, you’ll still get all your goodies. But you won’t be able to collect any new items from Poke Stops until you get to 350 or less. 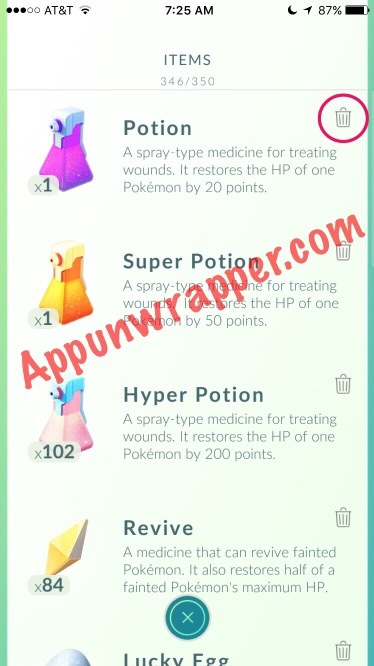 If you are just a few over 350, I suggest deleting a few potions, razz berries or revives, depending on how much you have of them. You want to keep enough room to be able to keep collecting more Pokeballs, since those are what you’ll be using the most of. To delete an item, just tap on the little trash can icon next to them and choose how many to throw away. I never throw out Poke Balls! Pokemon locations are, for the most part, random. There’s no way to predict exactly which Pokemon will show up where, especially if they’re rare. But water Pokemon are easier to find around bodies of water (duh) and some Pokemon only show up at night. But there’s a way to at least find out which Pokemon are in your close vicinity right now. If you want to see which Pokemon are near you, tap on the little tab in the lower right-hand corner. You can see which Pokemon are closest. Three footprints means you need to get closer to them, two means you’re a bit closer, one means you’re very close. Zero footprints means they’re right on top of you and you should be able to see them. 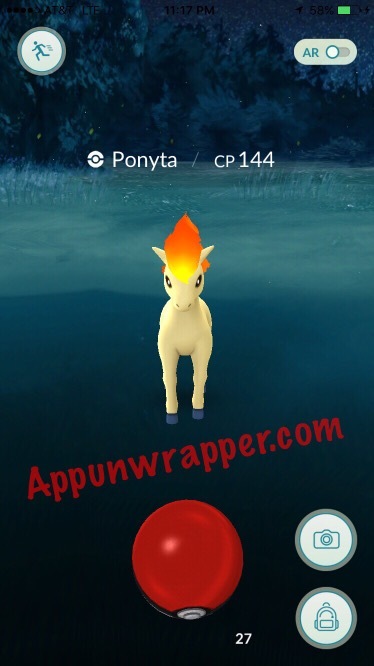 You can also track a Pokemon by tapping on its image in that screen. I think server lag interferes with the Nearby list, making tracking difficult. I could be tracking a Pokemon and it just goes from one or two footprints to vanishing completely. Or a Pokemon has three footprints but is listed as the closest one to me and then it just vanishes. I think it’s the list lagging behind reality. The Pokemon was long gone but the game wasn’t reporting in real time. I’ve gotten into the habit of rebooting the app often just so I don’t waste my time tracking a Pokemon that’s already long gone. Tracking is very broken at the moment. UPDATE: They removed tracking altogether from the game and even had third party tracking sites and apps closed down. Click on the little numbers below to continue to the next page with more tips or click here. How do u get the egg into the incubator? Open to your Pokemon. To the right is a tab with all your eggs. Select one and then choose to incubate it. I can add it to the guide with photos. If you leave the game open and turn it upside-down (to put in your pocket, for instance), it darkens the screen. I’m not 100% sure how much it helps, but I think it might warn you about Pokemon while it’s like that. I have to confirm it, though. Ahh so it doesn’t really do much for iPhone users? Battery saver was removed in the latest update, at least for iOS users. How do you create a power station? Seems there are lots in my area with very specific signs of places so someone has to be making them. You mean how do you use a Lure Module? can i give my poke balls to my friends? my friend she used all of her poke balls, can i give some to her? There’s no way to trade. But she can get more at poke stops or buy them. What do you mean? You get that message when you try to spin on? Oh I see what you mean. That’s just for the Lure. You just spin the photo to get items from a poke stop. When no have more than one of the same Pokemon, other than cp, which mon do I transfer? Where can learn about types, ability and sizes? Focus primarily on the CP, because if the CP is too low, it will be way too costly (in terms of stardust and candies) to get it to a high enough CP to compete. If they’re close in CP, I keep both until I get one that’s a much higher CP. once we visit a Pokestop, does it need time to reset again? how long it takes to obtain more item/gift? It resets again after a few minutes. I think a lure might make them refresh even faster, but I’m still testing that theory. so it means i can visit the same pokestop for many times? how to make poke stop?? They just added a support form where you can request a new Poke Stop. How can I get poke coins if I’m at level 3 and can’t go to the gym yet?? The only other way is to buy them with real world cash. I think the Poke Stops were created by Ingress players. I don’t know if we have any power over it. According to the link you provided…. No! 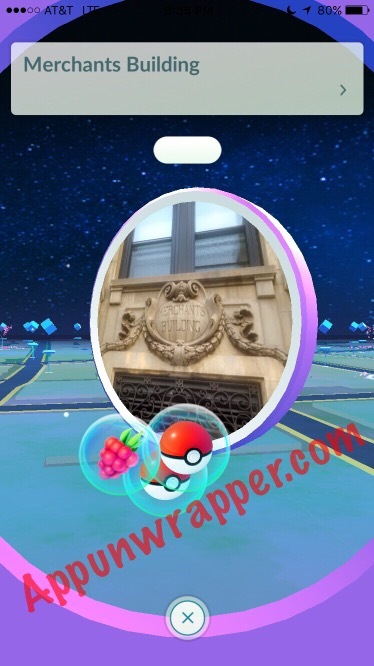 You can’t add just ANYTHING as a PokéStop. ONLY businesses that are approved have a chance. Nothing is said about landmarks, but they allow you to comment and add images of the location, so maybe a public landmark would work. If you own a business and want to have nearby PokéStops, fill out the request form. 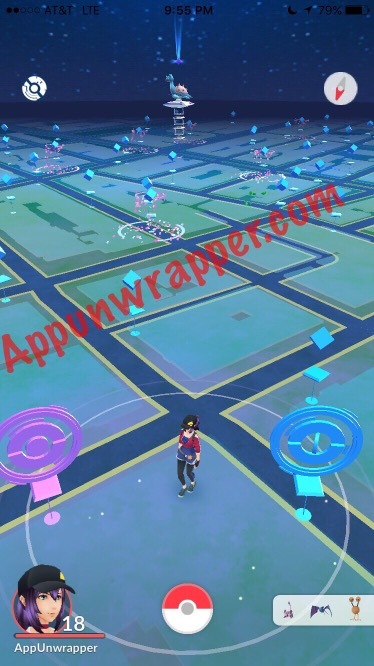 One of the reasons you can choose is that there are no Pokestops or Gyms near you. 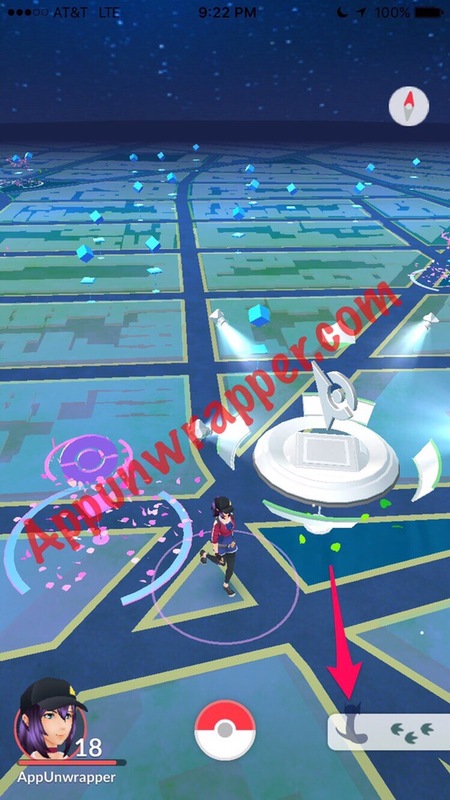 If you look into it closer, it will tell you to NOT expect to find one pop up at your house etc and they will only add businesses as PokéStops. But I suppose you could always give it a go and hope they add it in one of the updates. They didn’t add any new PokéStops in our last update this week and my business has been approved by google and is on the map but not yet with Ingress so I am still waiting to verify. I think I got soft banned twice, but I didn’t ever manipulate my GPS location. It happened when I got on a boat so why would this happen? Is it because it can’t detect my location in the water and glitches out? How do you know you got banned? What was the message? I only have 133 unknown and known Pokemon in my pokedex while other people all have 147. I updated the app and everything, but I still have 133 Pokemon. It only shows up to the latest number you’ve caught. Is that what you’re asking? My bag is full and I can’t add more items at poke stops. What can I empty to make room for more items? There’s a little trash can icon next to each item in your bag. Find something you can spare and delete a few things until you have 350 items again. I usually go for potions and revives, as I get them often and only need them when I’m taking on gym battles. I have 378 pokéballs and I want to trash some but do I trash all of them if I press the trash can? No, it lets you select a number (default is 1). Is there another way to get candy besides transferring them? If not, why would you evolve them (“use all your Pidgey candies to evolve Pidgeys that you don’t need”), you only get 1 candy for a transfer, regardless of level or evolution. Hopefully, I explained myself well, maybe you can clear up my confusion. Oh, the reason is that Pidgeys are incredibly common and you’ll get a ton of candies by transferring them. I don’t mean evolve every Pidgey. But if you save some to evolve when you use a Lucky egg, you’ll get 1000 XP per evolution. I’ve gotten so many Pidgeys by now (I’m currently level 20) and unless they give them another purpose in the future, there’s no need to stockpile 400+ of them. Pidgeot’s aren’t that strong compared to rarer Pokemon, so it’s not worth having an army of them. I’ll clarify in the guide, though. Also, you do get three candies for each Pokemon you catch. So just to clarify. Should you upgrade your Pokemon before you evolve or evolve them then upgrade due to the increase in gained cp? I say just hold off on evolving any rare (or uncommon) Pokemon. You’ll very likely find ones later with higher CP. If you’ve got dozens and dozens of the same Pokemon, though, there’s no loss in evolving. But I don’t recommend using much Stardust early on. I learned that the hard way. I’m level 21 now and still holding off on most evolutions. 0 prints = You are on it! A km is a little over half a mile, so that doesn’t sound right…. 25+ miles for one footprint? Maybe you meant regular meters? My bad. Yes Meters is what I meant. Get fit and GO! Be safe and watch out for cliffs. Solid guide and thanks for answering everyone’s questions! I accidentally hit the trash can next to pokie balls and incense! ? I was holding my phone and my thumb hit both! I tried turning the game off . It seems there is no way to ever play the game now because I can’t get or use pokie balls. What should I do? The trash can just lets you throw out some items. It shouldn’t prevent you from getting those items again. Thanks for the info. Have you updated any of the remaining pokemon yet? Passed 49?